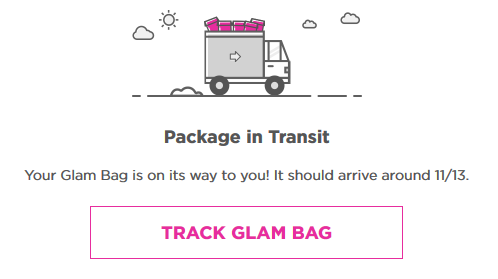 I have been a regular subscriber to the Ipsy Glam Bag since May of 2015. I decided to write about some of the products that I receive from Ipsy as they are an important topic for Be Electrifying’s readers. It is our goal to give you reviews on the best (and the worst) beauty products available on the market. The number one reason I love Ipsy is because you get a sampling of so many different products for only $10 per month. This allows you an opportunity to try something out before investing in the full product. With that said, the products you receive are more than plenty to last you for months depending on how much you use them. The first Glam Bag I ever received included a product that I have continued using since 2015. It is an eyebrow pencil and I absolutely love it (Learn more about it in this post). I probably would have never discovered this product had it not been included in my Glam Bag. Beauty products are expensive, so for someone like me who is constantly trying out new things, buying a product at retail just to try out would get very expensive. My Glam Bag allows me to decide what I like and what I don’t like before I make a purchase. The way it works is you sign up, and then you take a quiz. This is how Ipsy determines what type of products you like by the color, your skin type and a few other categories. If you are receiving products that are not related to what you are interested in, simply go in and tweak your answers on the quiz. You can do this every month if you want. You are not committed to anything either. If you don’t like it, and you want to cancel, you simply cancel. I can tell you from experience though that if you have $10/month available to allow you to try out new beauty products, Ipsy is the way to go. Learn more about it by clicking here. Stay tuned, as we will be reviewing our Ipsy Glam Bags for moving forward. You won’t want to miss what’s in the bag… You can sign up below to be notified when we post something new!